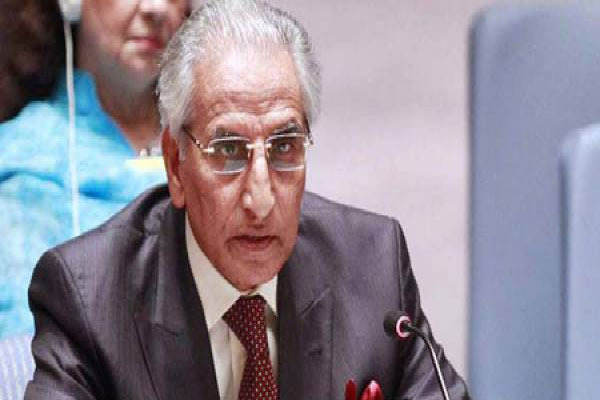 ISLAMABAD, Nov 4 (APP): The Special Assistant to the Prime Minister (SAPM) on Foreign Affairs, Syed Tariq Fatemi Friday called upon the permanent members of the UN Security Council to fulfill their commitment to the people of Jammu and Kashmir, through the holding of a free, fair and impartial plebiscite under the UN auspices. He said this during his briefing to the ambassadors of the permanent members of the UN Security Council comprising China, France, Russian Federation, UK and USA on the deteriorating human rights situation in the Indian occupied Jammu and Kashmir. He also highlighted the escalation and ceasefire violations from the Indian side at the LoC and the Working Boundary and the Indian involvement in subversive and terrorist activities in Pakistan. The SAPM condemned the Indian brutalities in IoK, resulting in killing of more than 115 innocent people and injuring more than 16,000. He noted that more than 1,000 people have been injured due to the use of pellet guns by the Indian occupation forces, while scores of hundreds of people have become partially or permanently blind. He characterized the systematic and grave human rights violations, as crimes against humanity. Reiterating his call for holding plebiscite in accordance with the Security Council resolutions, he noted that the people of IoK were being brutalized for demanding their fundamental rights, including the right to self- determination. The SAPM stated that unprovoked continued firing and ceasefire violations from the Indian side on the LoC and the Working Boundary have resulted in the loss of many innocent lives. He referred to the Indian attempts to escalate tensions, as an effort to divert international attention from grim situation in the IoK. Tariq Fatemi also deplored Indian involvement in subversive and terrorist activities in Pakistan. While highlighting Pakistan’s sacrifices in the war against terrorism, he reiterated Pakistan’s commitment to eradicate the menace of terrorism, including Indian state- sponsored terrorism.